I love the small words to these Just Right sets. I decided to leave off the border on this image and mount it up several times. 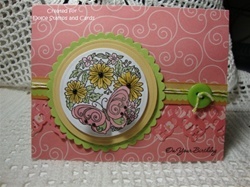 I cut out the small butterfly and popped it up on foam, adding the button for an accent. On the inside I made a tag with the sentiments in the set. I finished it off with some twine and a small coordinating button. I love the small words to these Just Right sets. I decided to leave off the border on this image and mount it up several times. 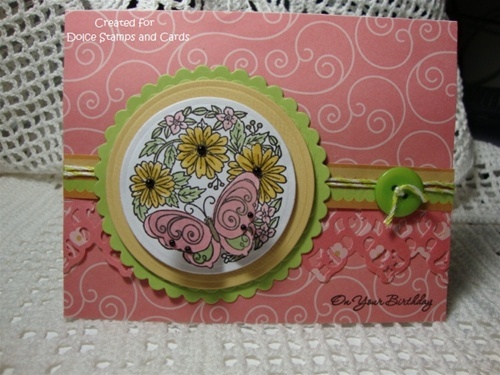 I cut out the small butterfly and popped it up on foam, adding the button for an accent. On the inside I made a tag with the sentiments in the set. I finished it off with some twine and a small coordinating button.